The Audiocore WCM-6440 is built using the latest technology for Wireless Conference System, with high end wireless modules and phase lock-up frequency to ensure the clarity of the signal and interference-free audio. 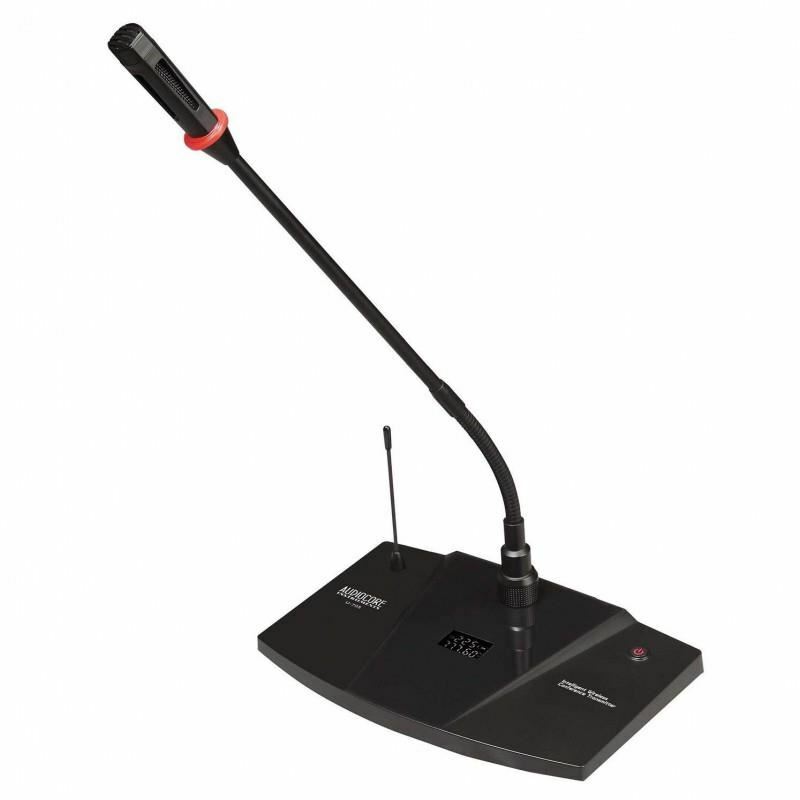 This product is suitable to be used in large meeting venues or office meetings. It has a greater range and clarity than its sibling the Audiocore WCM-3240U. 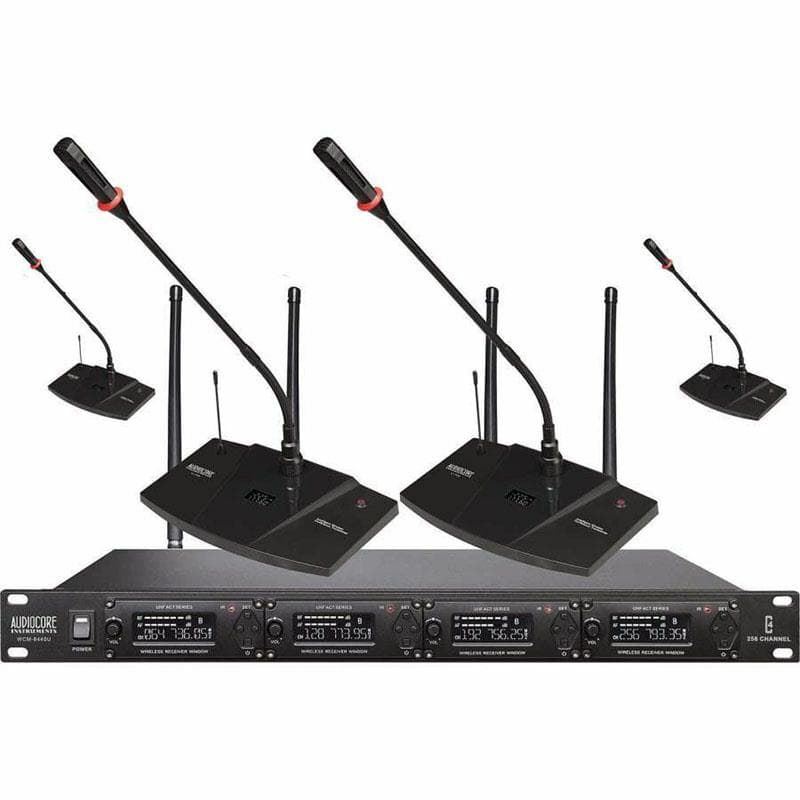 UHF international standard frequency range without interference, The WCM-6440U has a broad UHF frequency range of 500MHz-900MHz and has a 64 selectable frequency for each channel, up to 512 microphones in total can be used simultaneously in one system. The WCM-6440U has a micro-processor control and phase-locked loop frequency synthesis technology. Shure ULX-D Digital Wireless Handheld Microphone ULXD24/SM58The Shure ULX-D Digital Wireless Handheld Microphone System delivers transparent, 24-bit digital audio transmission, uncompromising audio clarity, extremely efficient RF performance, secure signal encryption and advanced recharging. This sy..
Sennheiser MD 46 Cardioid Interview MicrophoneOmni microphones tend to pick up everything equally, including background noise. The MD 46 cardioid interview mic focuses on the subject, increasing clarity while reducing background noise. Designed to deliver low handling and wind noise, and to eliminat..
Shure MV 88 Condenser MicrophoneDigital Stereo Condenser Microphone dari Shure ini memberikan anda kemampuan untuk merekam audio dengan kualitas suara Shure dimanapun anda berada melalui perangkat iPhone, iPod ataupun iPad anda. Integrasikan dengan ShurePlus motiv App di playstore untuk mengakses pe..